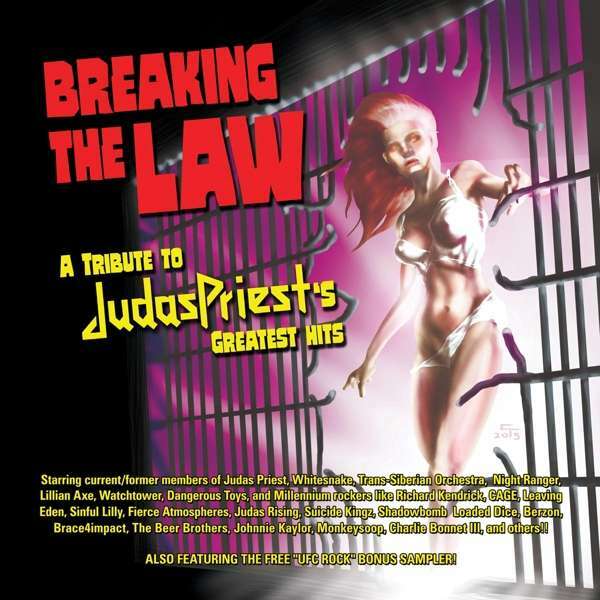 Der Artikel Breaking The Law: A Tribute To Judas Priest's Greatest Hits wurde in den Warenkorb gelegt. Members of Judas Priest, Whitesnake, TSO, British Steel, Iron Priest, CAGE & Free bonus. Ultimate Fighting Rock Bonus CD BREAKING THE LAW gathers current / former members of Judas Priest, Whitesnake, Trans-Siberian Orchestra, Night Ranger, CAGE etc alongside Millennial metal bands like Leaving Eden, Sinful Lilly, MYSTIC FORCE, Shadowbomb and some of Priest's best tribute bands including British Steel, Iron Priest, Judas Rising, Painkiller and Sin after Sin celebrating heavy metal pioneers Judas Priests' Greatest Hits!